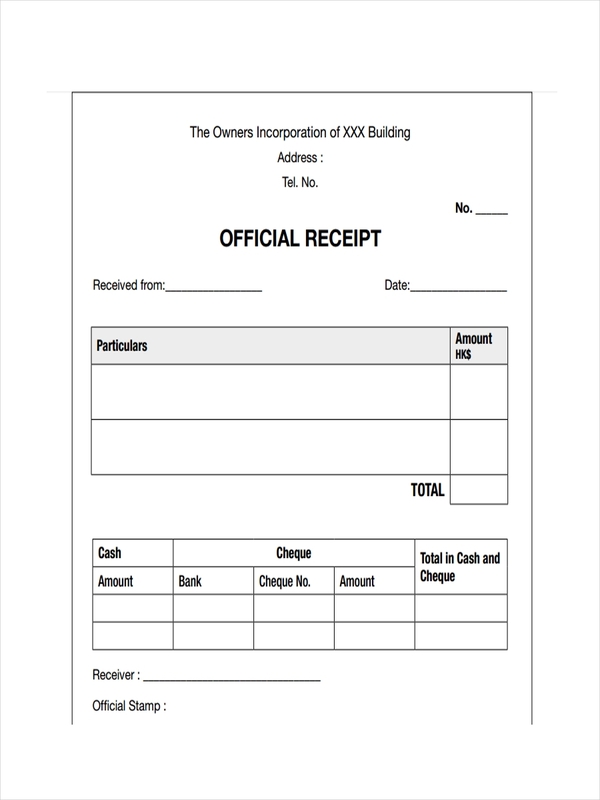 All businesses these days give out receipts as proof to any transaction made. 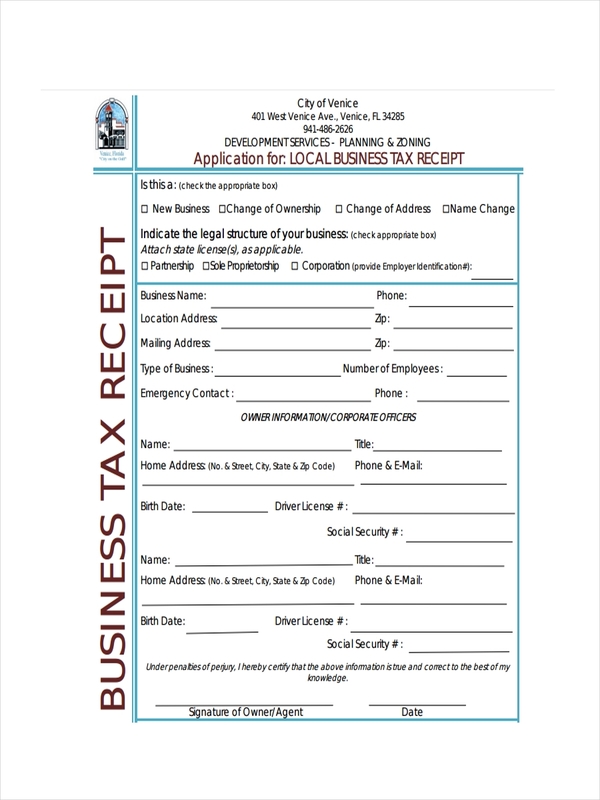 These hold importance specially in the annual filing of business taxes. Receipts example, in a way, have evolved since the early days of its conception and is being shaped by the way businesses cater to the needs of the clients and to itself. Constructive receipt an deposit receipt examples found in the page provide further information and inspiration in the making of your very own receipt. The samples can be accessed by clicking on the download link button below the sample. 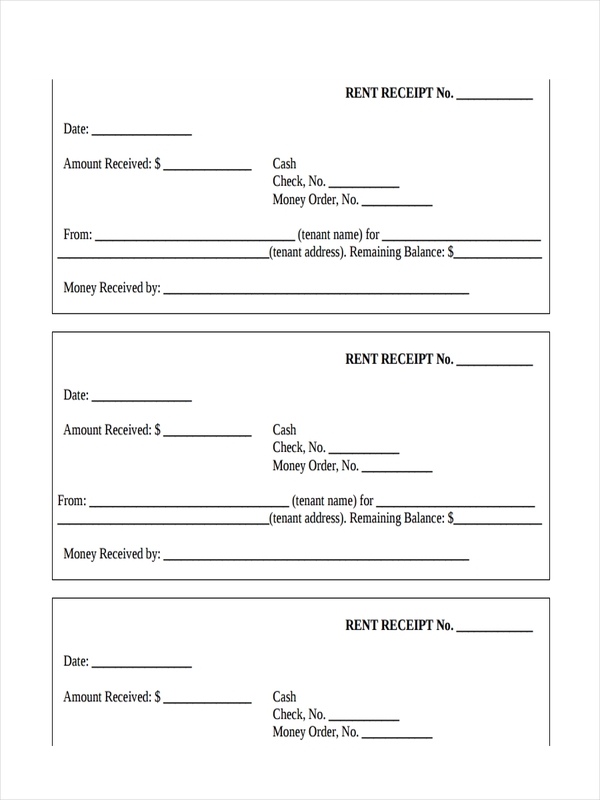 Rent receipts are often issued by a landlord to tenants who have paid for a particular mutually agreed upon duration of time. 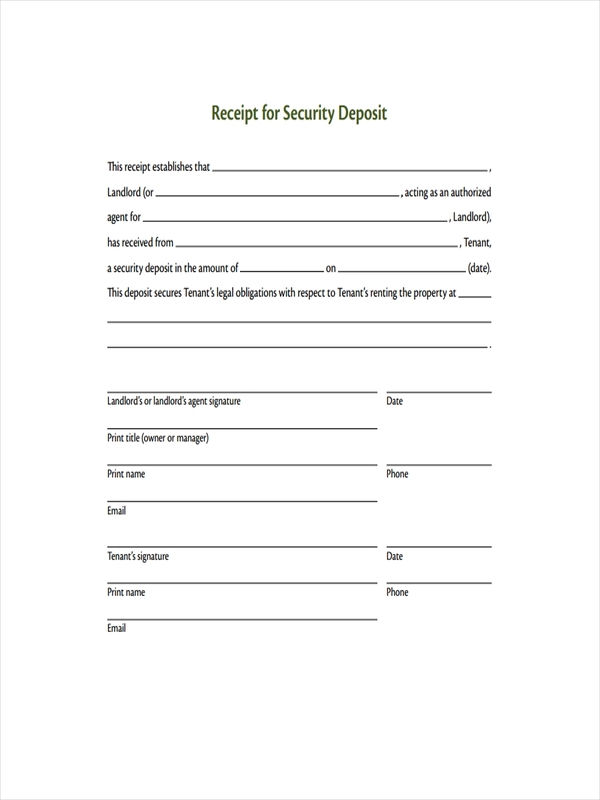 This serves as the tenant’s proof of billing and as may also be used by a land lord as evidence of income in the filing of taxes. A renter, for example, can also use the rent receipt as evidence of renting thereby qualifying the renter for credits in filing of taxes. 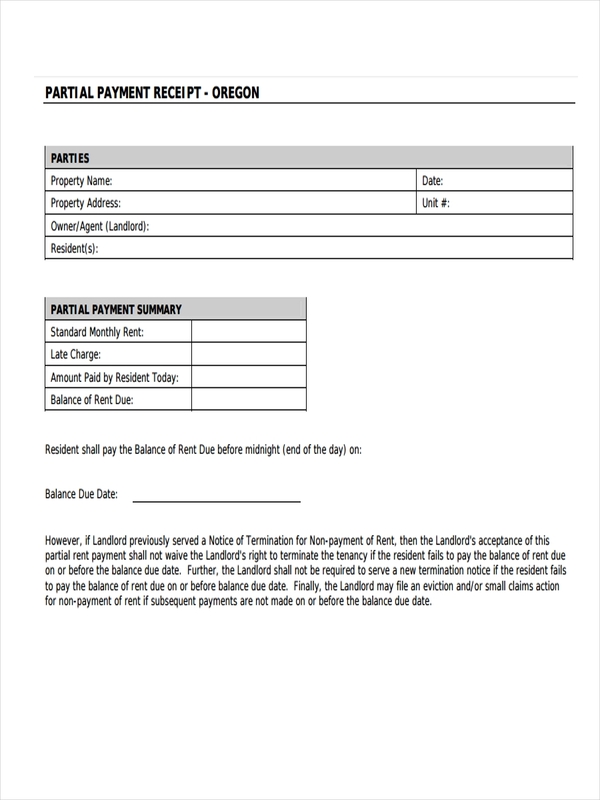 On the same note, the landlord as mentioned above uses the rent receipts as evidence of payment. 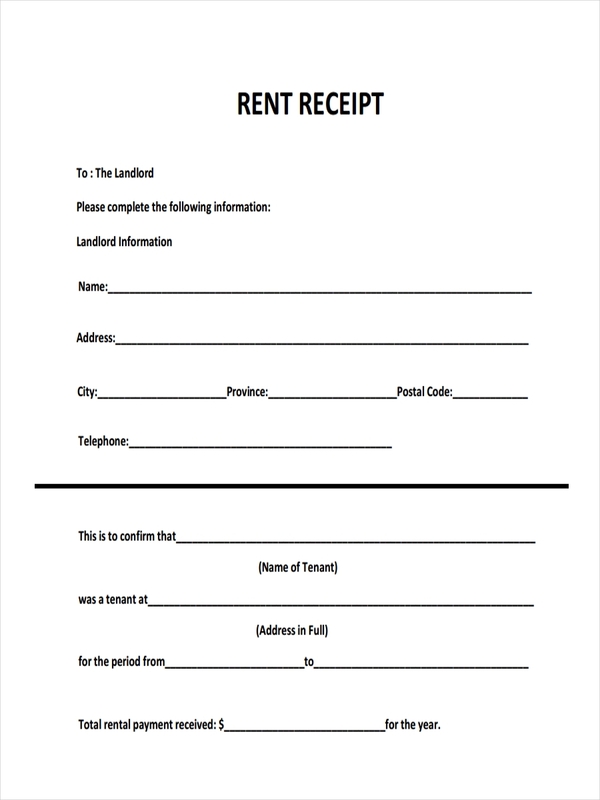 For whatever purpose the use of such receipt may be intended, rental receipts play a role much like in business in establishing cash flow. 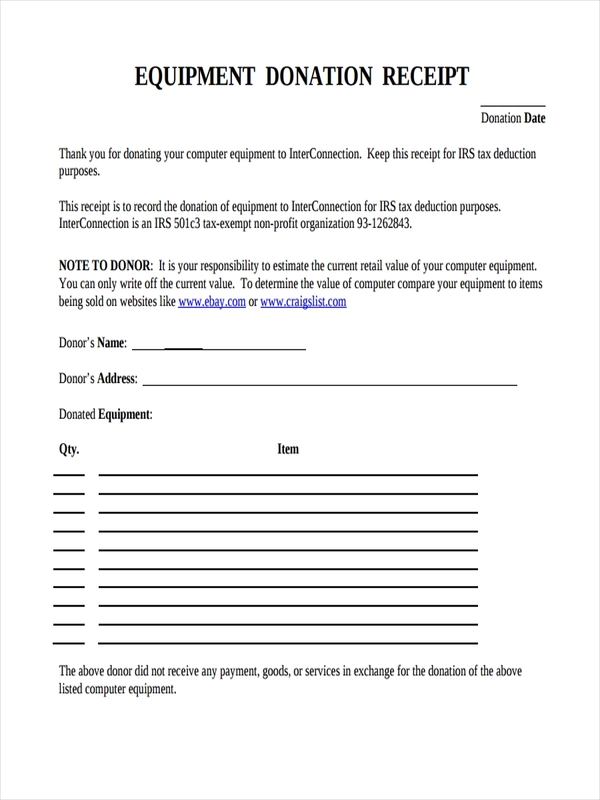 Sample Receipt, acknowledgement receipt examples, cash receipt examples and delivery receipt examples found in the page are there to assist you with your example receipt needs. Just click on the file of your choice to start accessing the free samples. What Is the Difference between an Invoice, a Receipt, and a Bill? 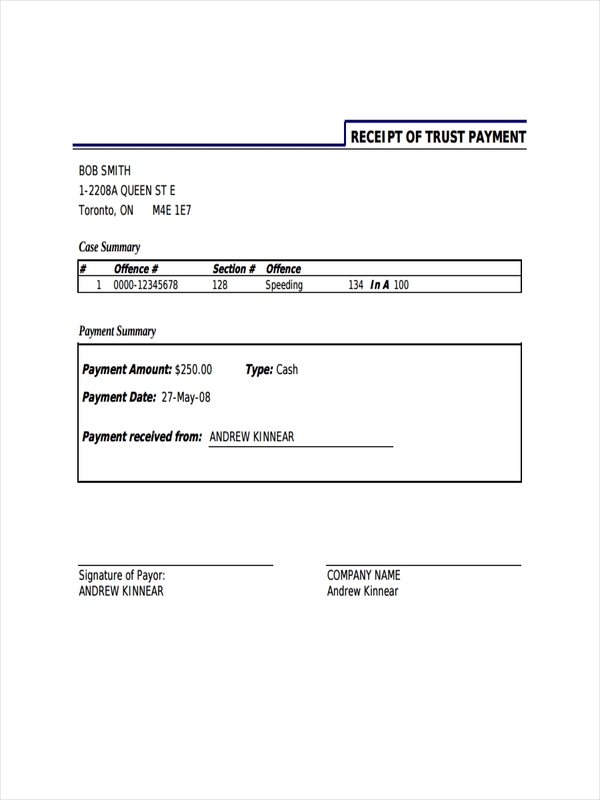 It is common for most to label an invoice, or receipt as one and the same. Can’t really blame them, they do are somewhat related. However, an invoice is more like that of a bill rather than a receipt. 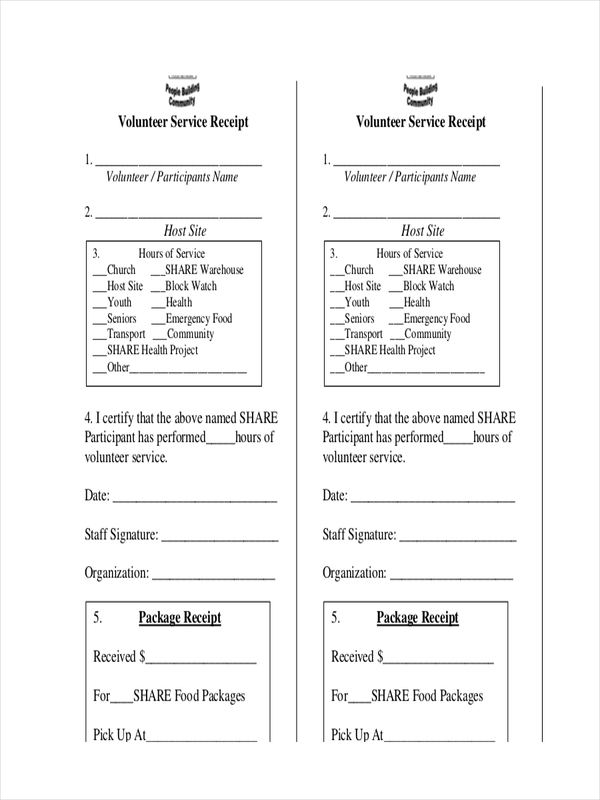 An invoice or bill is a document having a purpose of informing a client how much that client owes him or that payment is needed for items mentioned. 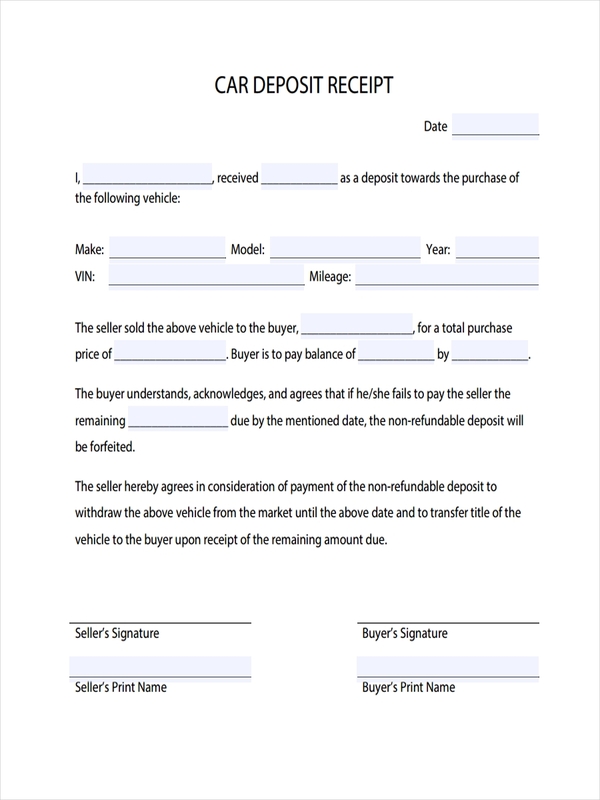 A receipt on the other hand is a document proving a sale transaction or an item or service is effectively paid. To make it clearer, the following items hold importance in determining the stark difference between an invoice or a bill and a receipt. 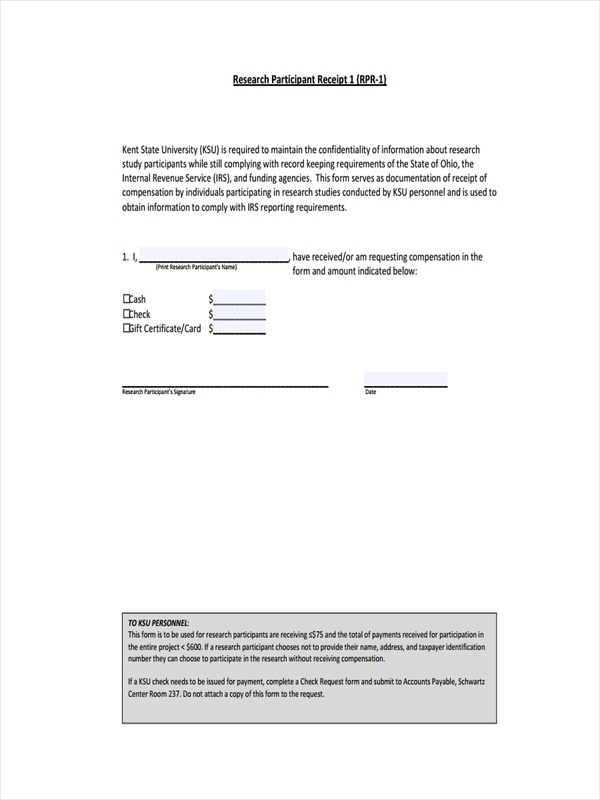 By meaning – an invoice is a document issued by the vendor to request payment receipt from the vendor while a receipt is a document issued after payment of product or service. 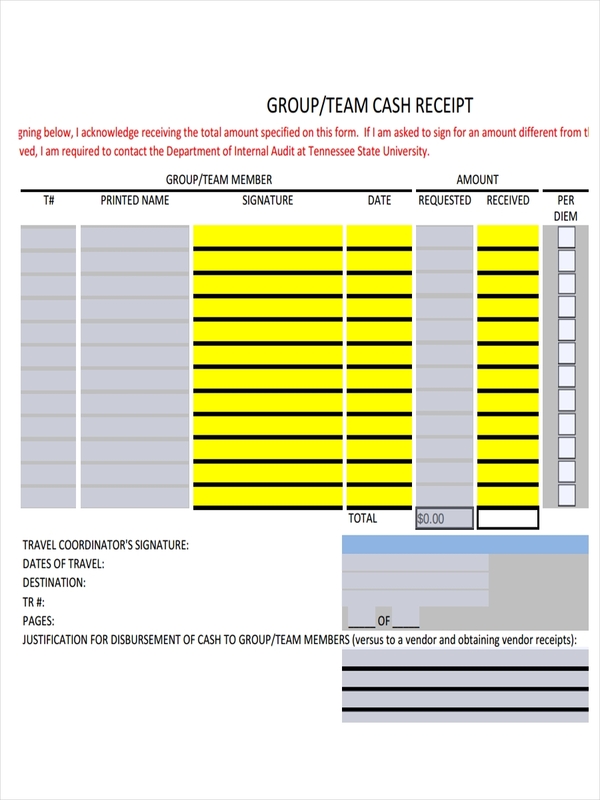 Details – An Invoice contains the invoice number, quantity, unit price, discount and total due while a receipt has same information with the addition of the total amount paid and the mode of payment. Timeliness – an invoice or bill is issued before payment of a product or service while a receipt is issued after every sale. 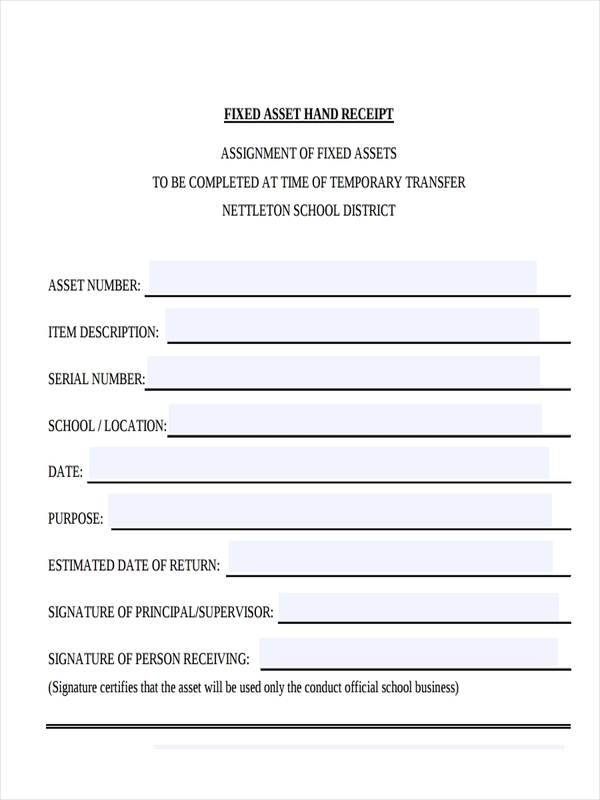 Record – contains information regarding merchandise sold and simply to record the specific transaction made while a receipt act as evidence of payment for a product or service . 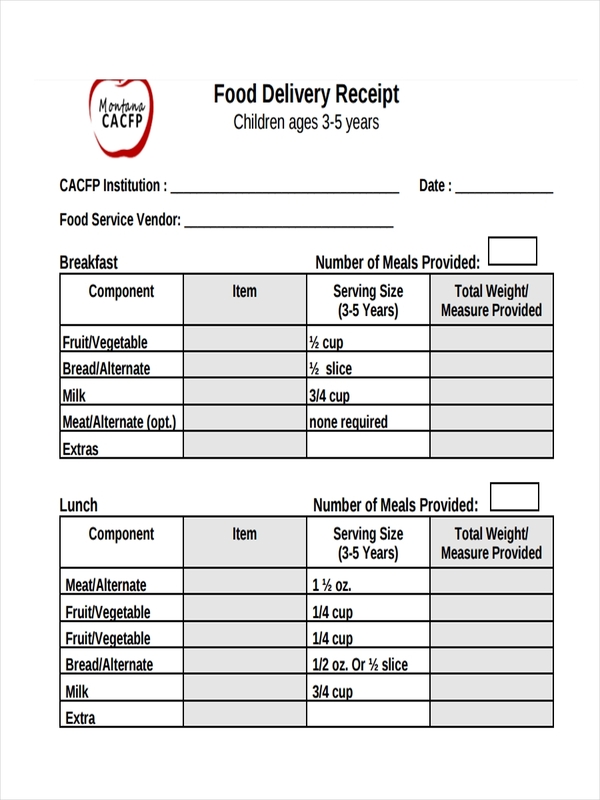 Free receipt examples and receipt examples in Excel shown on the page further provide information regarding receipts and how they can be made. You can gain access to the samples by simply clicking on the download link button to start downloading. Numerous examples are found to satisfy what it is you are looking for and need help with in making. 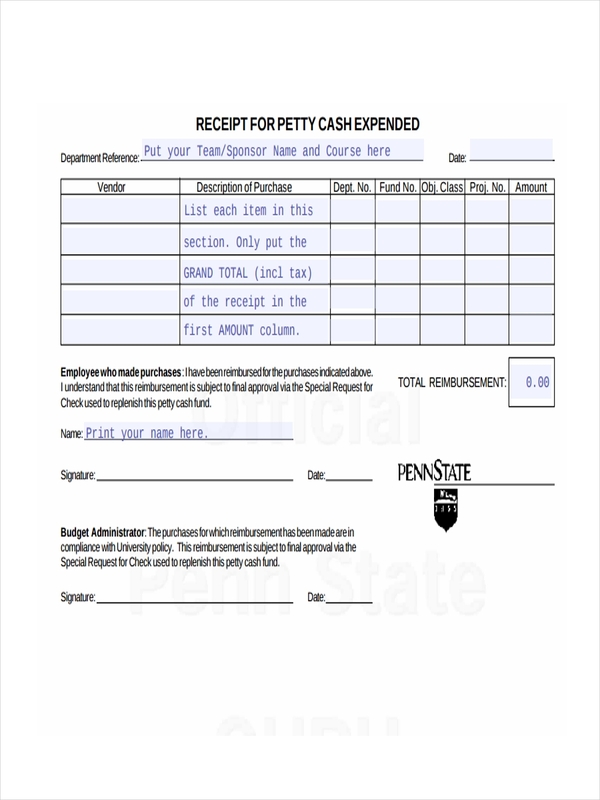 What Is Acknowledgement of Receipt? 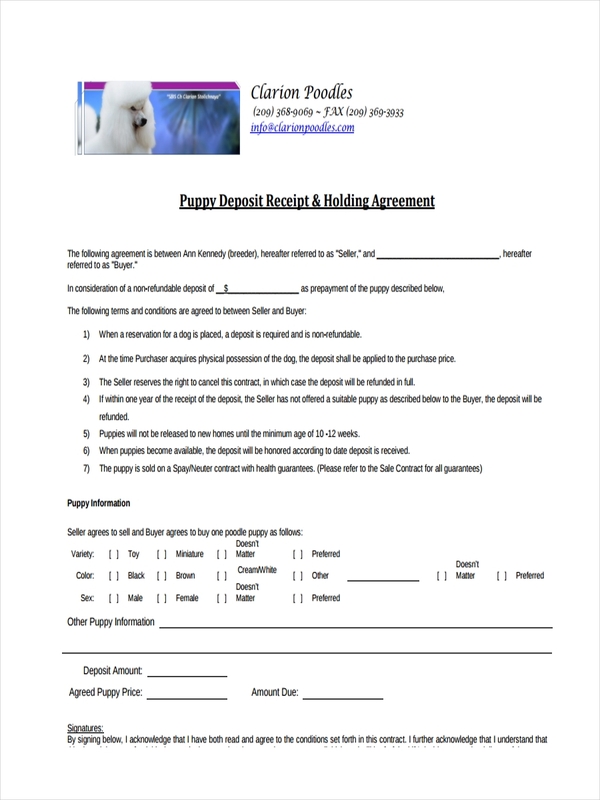 Acknowledgement of receipt simply means the acceptance of any product or service rendered in accordance to any agreement in between two parties having the transaction or business dealing. 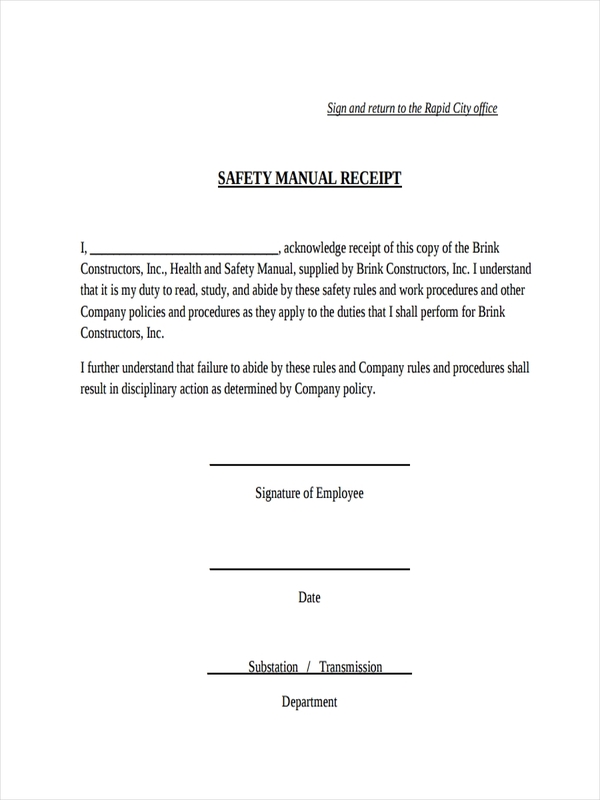 An acknowledgement of receipt can be anything as to a handshake or more legally, the signing of a delivery receipt, invoice, bill of lading or any form of receipt. 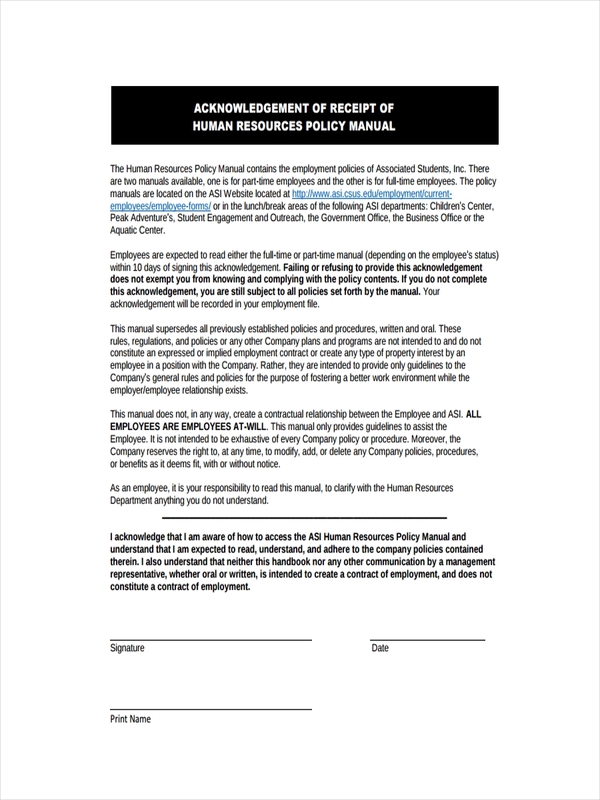 It is legally binding and in conformity to the standards set in an agreement. 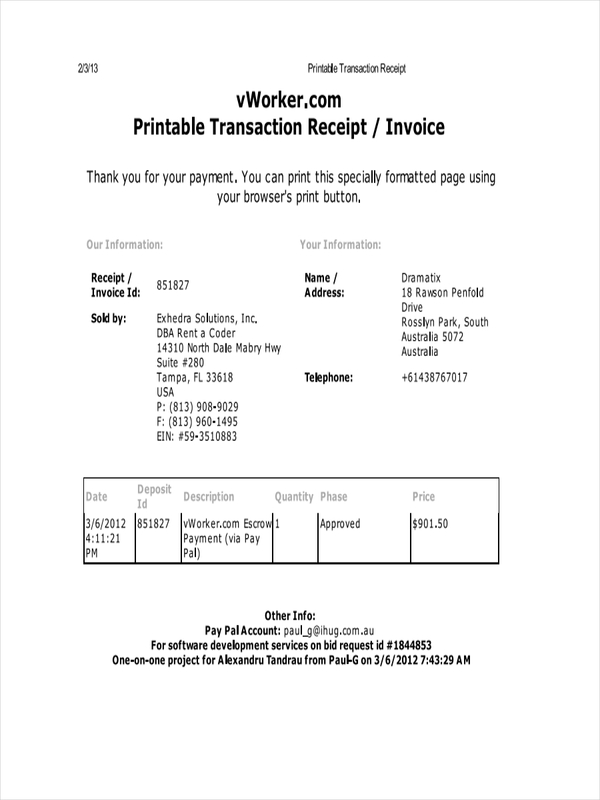 Receipt examples in Word and sales receipt examples are found in the page for more information. 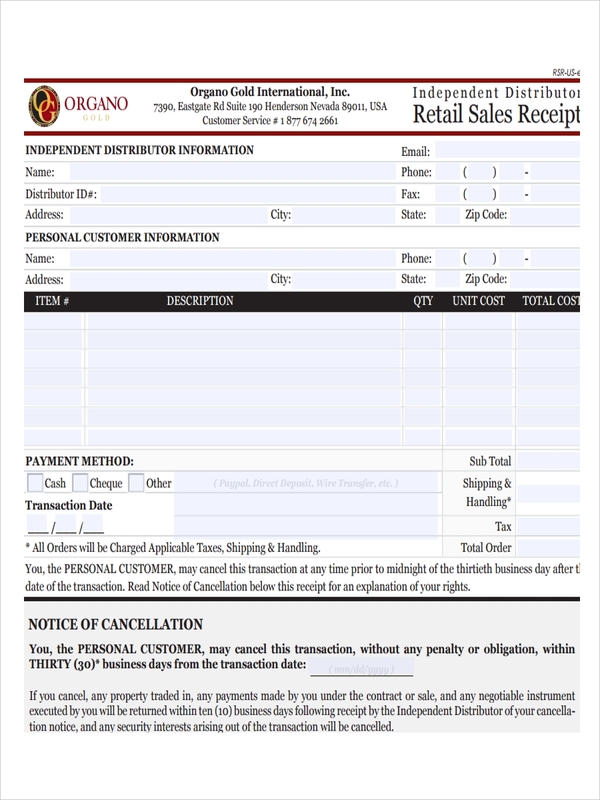 Why Are E-receipts Important for Customers? 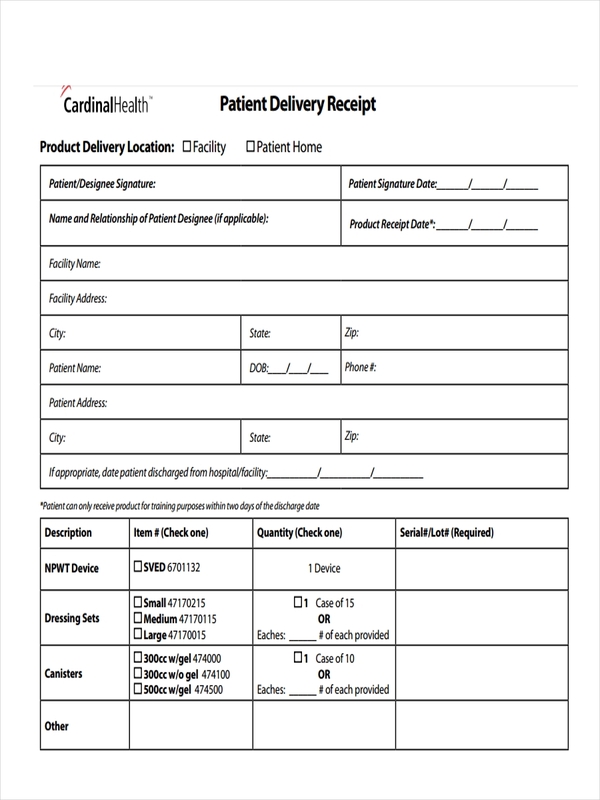 Saving money – e-receipts save cost on paper receipts. Any form of saving is good for business. period. 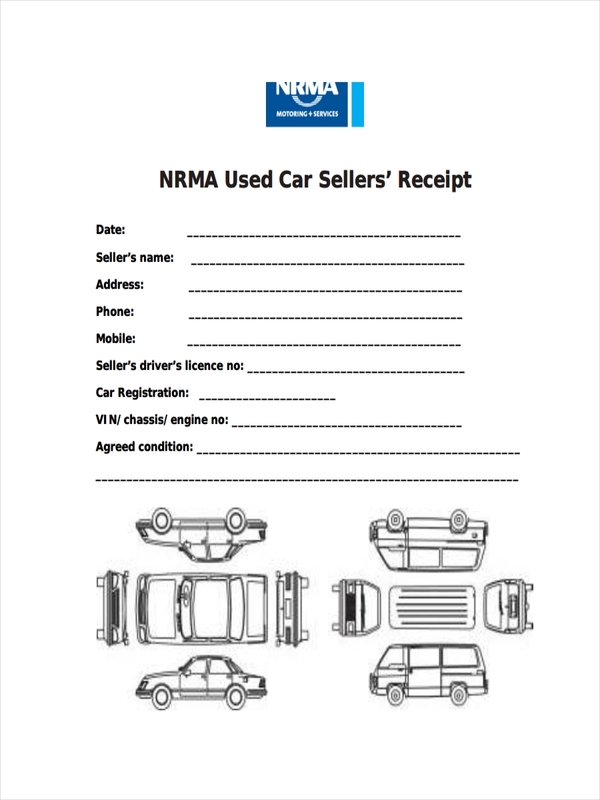 Email marketing – having e-receipts saves the trouble of getting emails and incorporate advertising in an e-receipt. It’s like hitting two birds with a single stone. No-brainer there. Incentives – it is also a great way to promote incentives for return customers and for collecting customer feedback and information. 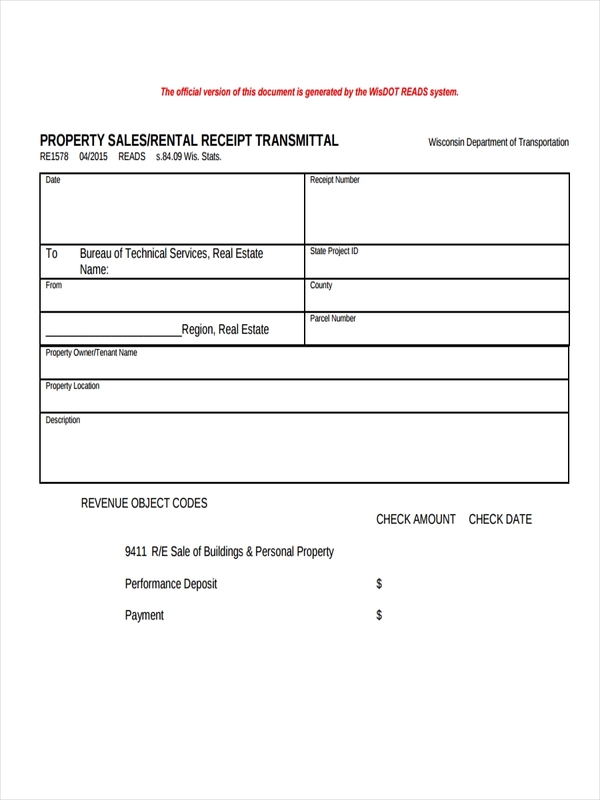 Business receipt examples and rent receipt examples in the page are there to aid you in making your own receipts. Go ahead and be creative! 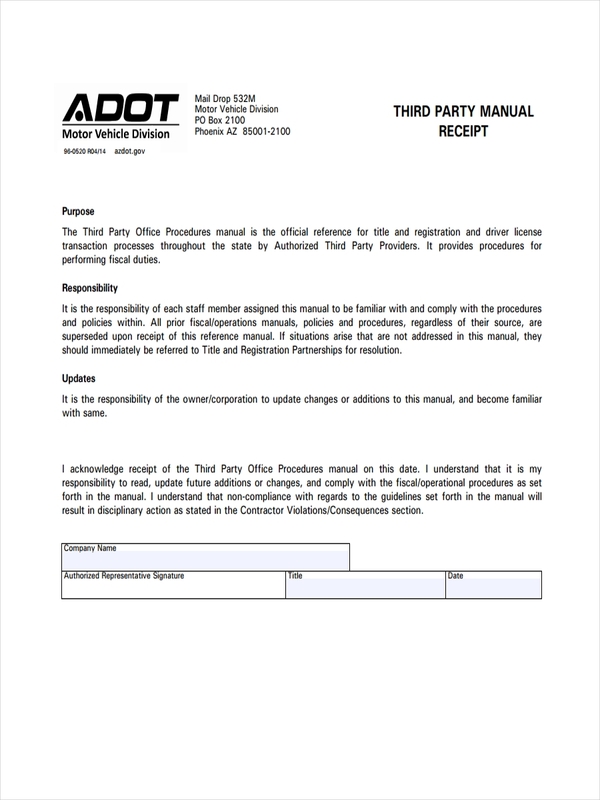 Transportation receipts – Expenses made in connection to usage of company vehicle must be kept and accounted for to account expenses for transportation and maintenance of such. 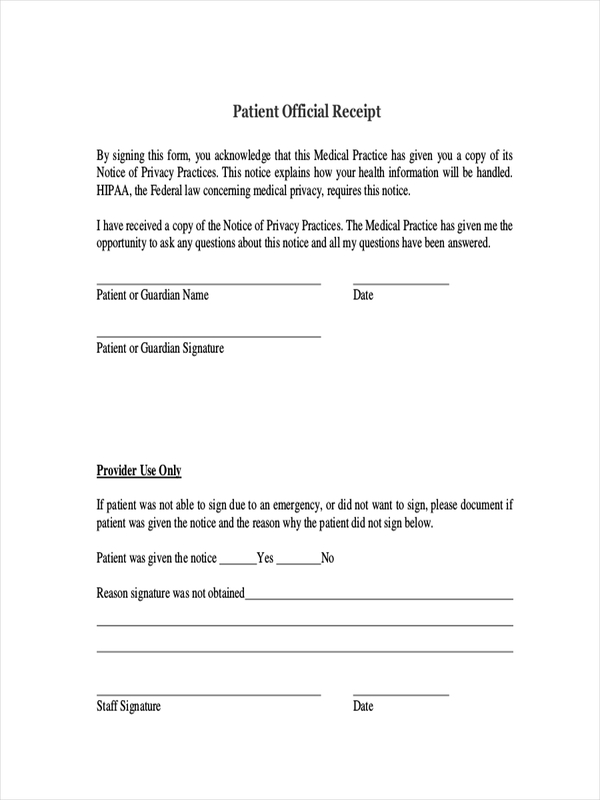 Medical expenses – Costs for medical expenses can be used as deductible to personal income tax. 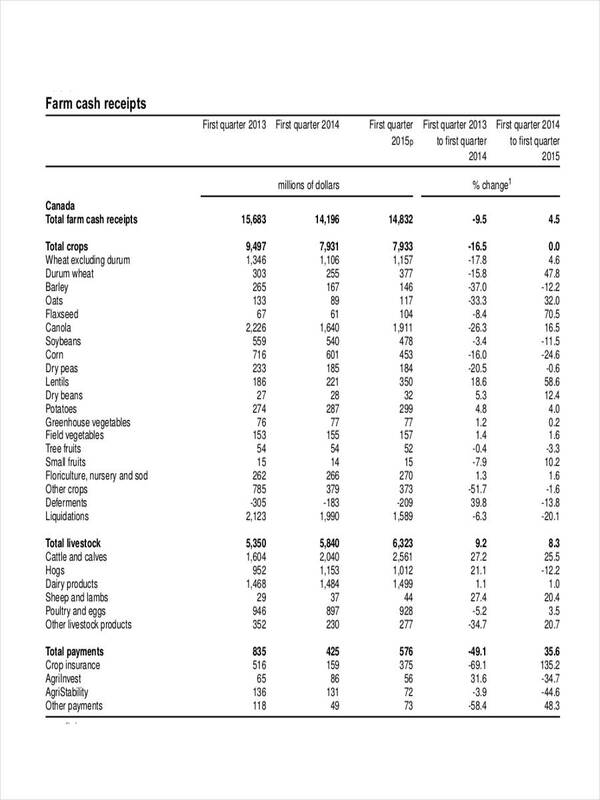 All the sample receipts add up to costs involved in running the business and how much a business is making. Computation for taxes at the end of a business year involves the above mentioned receipts and the taxes you have to pay depend on how much you are making and what can be deducted from that. 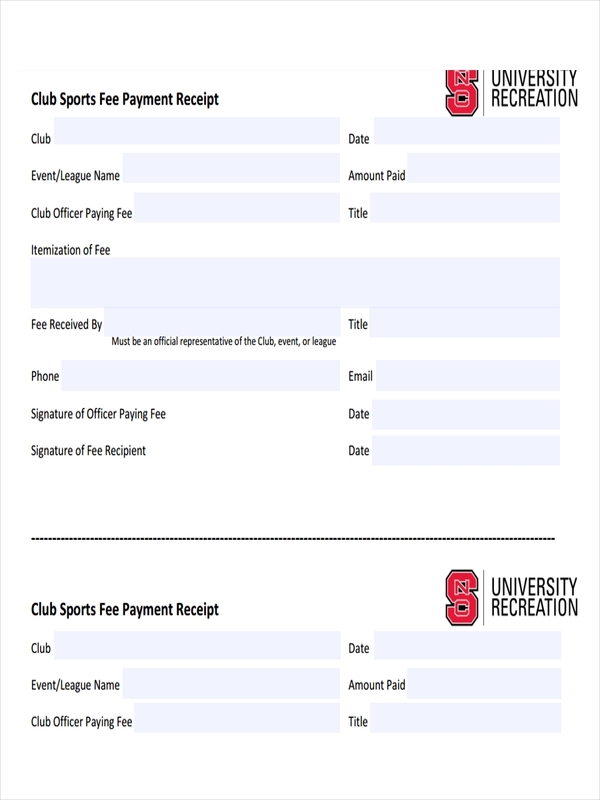 For additional information and inspiration in making your very own receipts, sample receipt and hotel receipt examples can be found in the page.